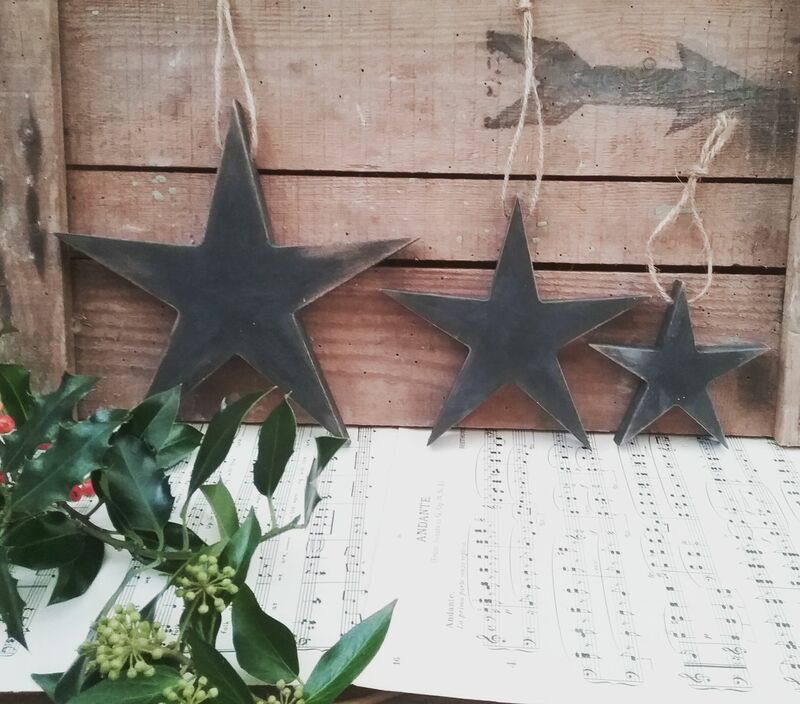 Stars are making a comeback in the world's of clothing and interiors and our Trunk Vintage interpretations are ideal decorations and gifts. 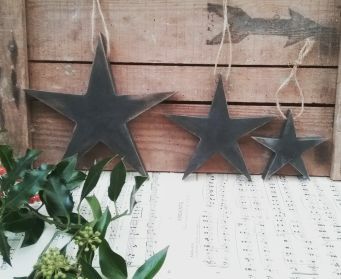 They would also make a stylish addition to your home as they hang beautifully on cupboards, drawers and doors. 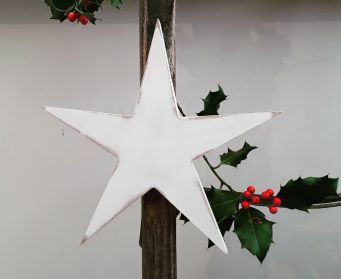 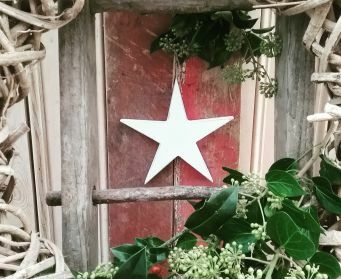 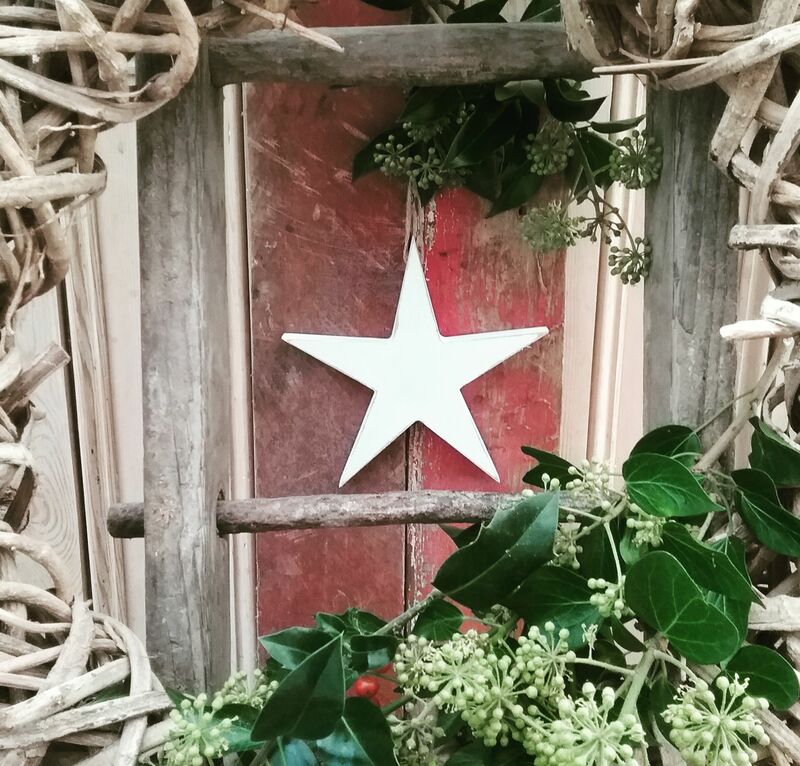 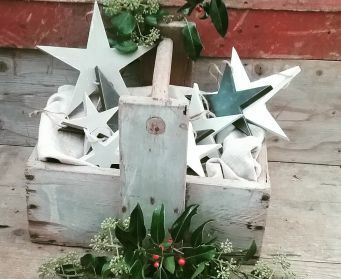 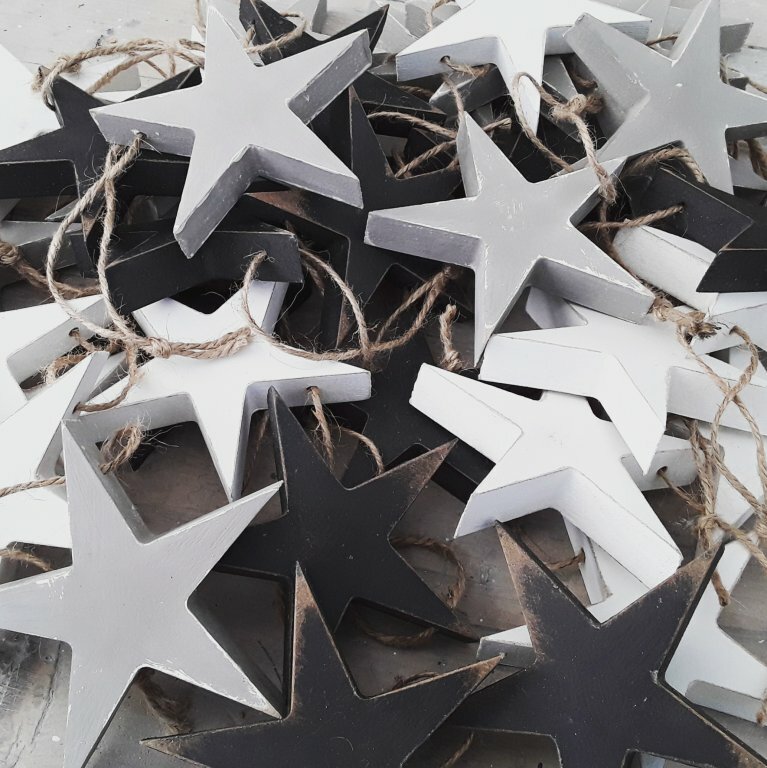 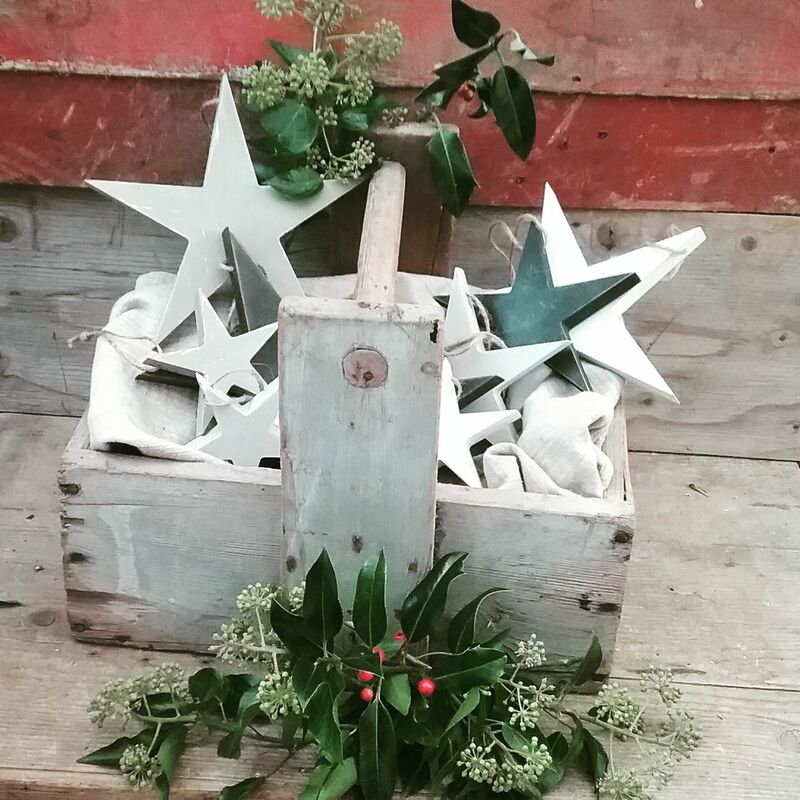 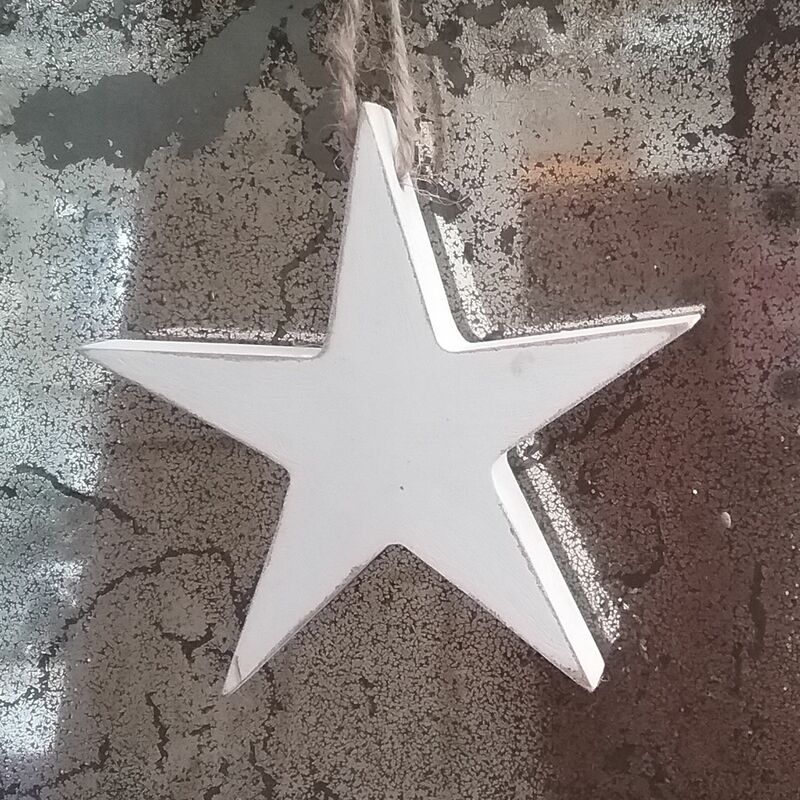 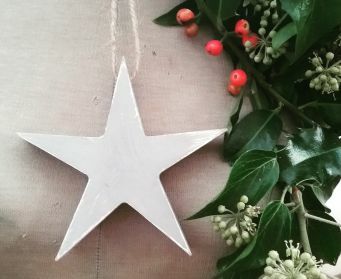 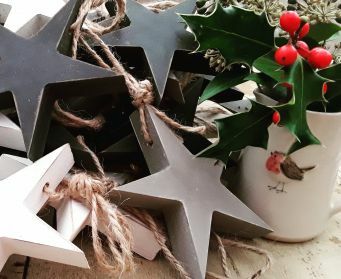 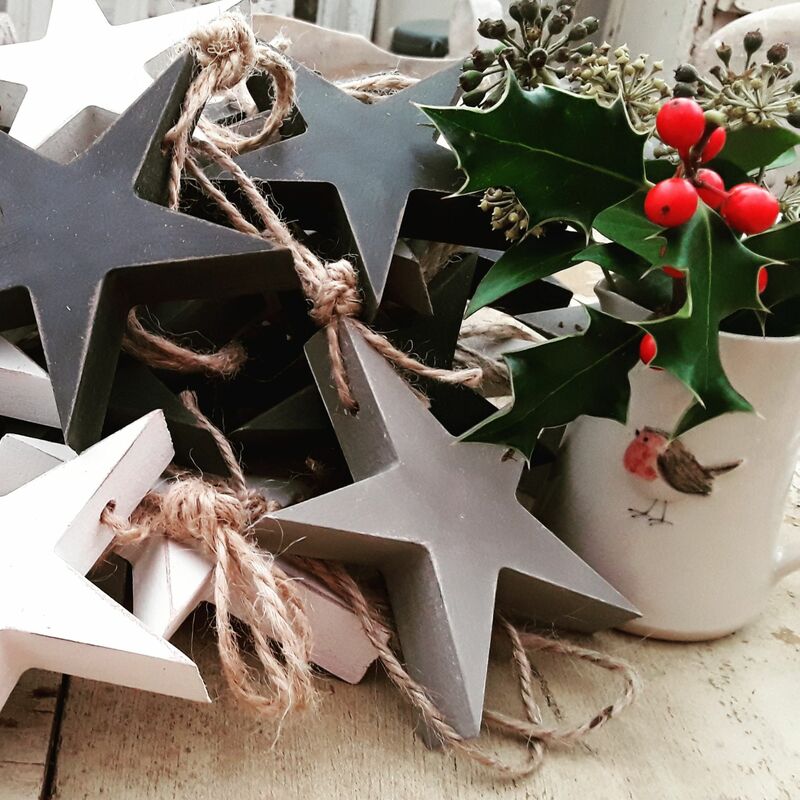 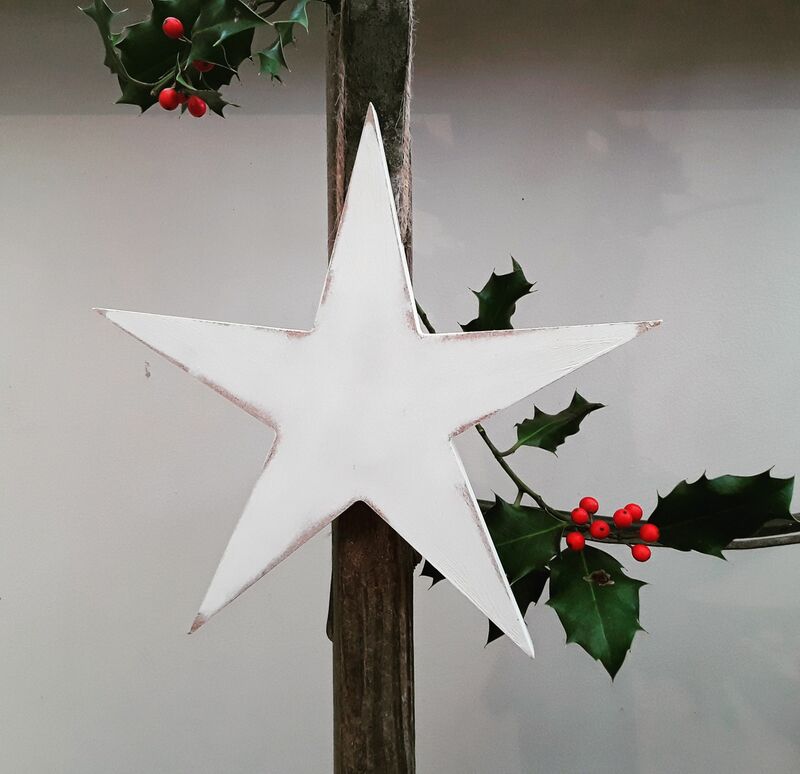 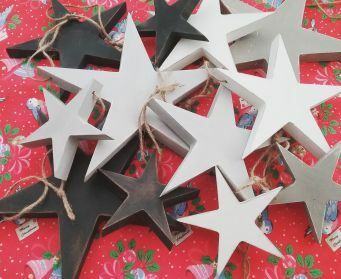 Available in 3 sizes and a range of Annie Sloan colours, each star is handpainted by us , lightly distressed and finished with a rustic piece of string. 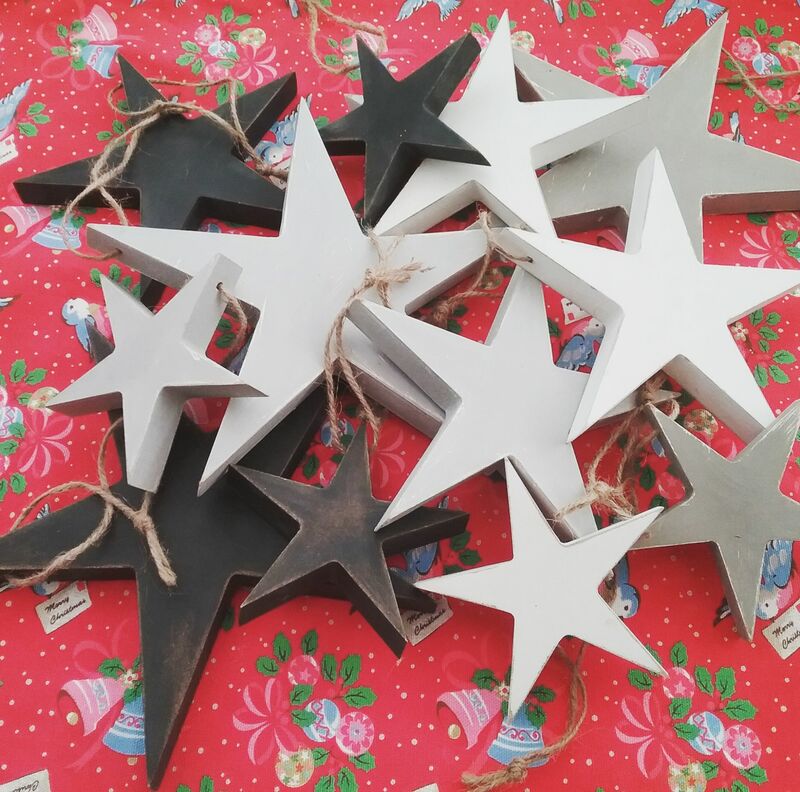 Now, which is your favourite? 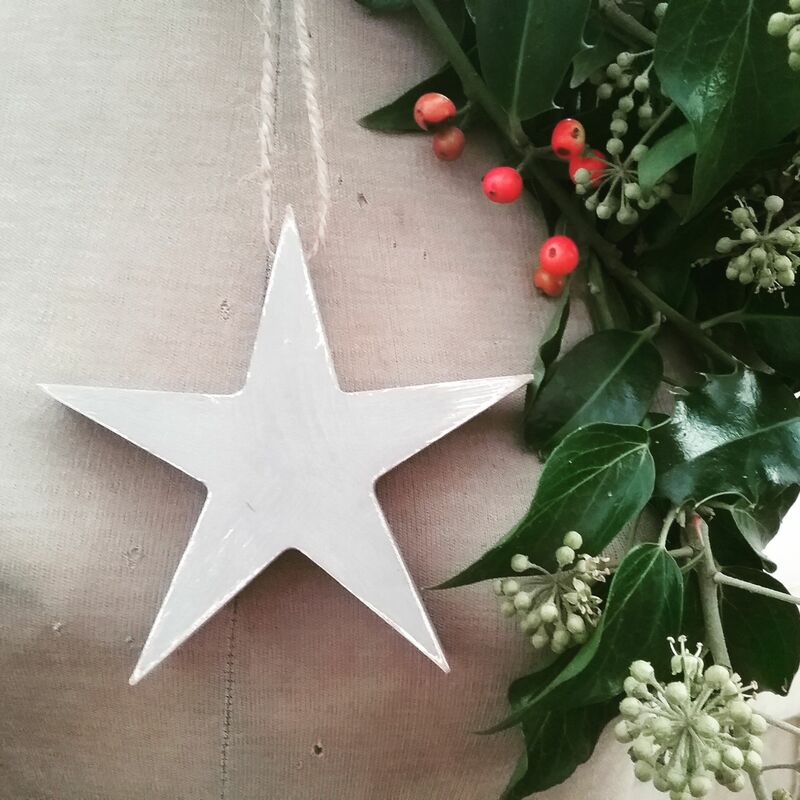 The base colour for the stars is Annie Sloan Old White. 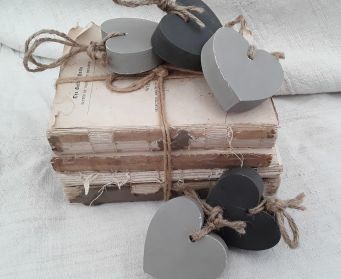 These are not toys and are not suitable for children aged 3 and under. 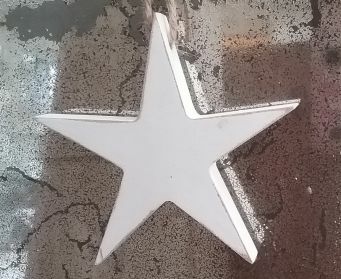 The design may vary slightly as these are handpainted.